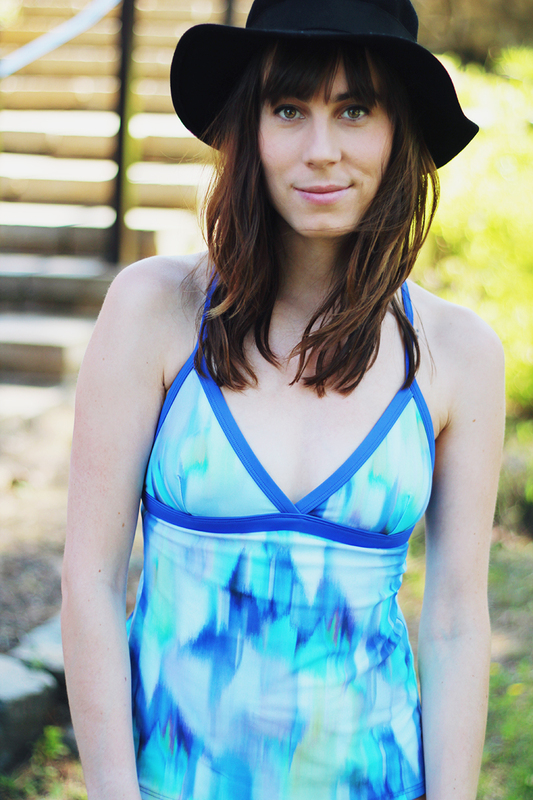 My family and I went away for the weekend this past week, and I finally got to wear my watercolour tankini top from Swim Outlet! The weather was incredibly cold the first day, but sunday was lovely and warm and sunny. We got out in the canoes and went hiking, and just all around had a nice relaxing mini-vacation. It was a long weekend in America, so there were quite a few people around! Although these bottoms don't look like anything fancy, they have a drawstring in them that you can tie so that they don't fall down - something that will come so incredibly useful at waterparks or when jumping off docks! I actually can not believe how all bathing suits don't have these, because its freaking genius. I love to open back of this swimsuit!